After nearly two decades in boxing, the Floyd Mayweather has indicated that his next fight would be his last. On Aug. 4, Floyd revealed when and whom he’ll fight next. Learn the details of what might be the final time ‘Money’ steps into the ring! Floyd Mayweather, 38, is hanging up the boxing gloves. After he finally faced — and defeated — Manny Pacquiao, 36, the undefeated Floyd has said that his next fight will be the last one of his historic 19-year career. 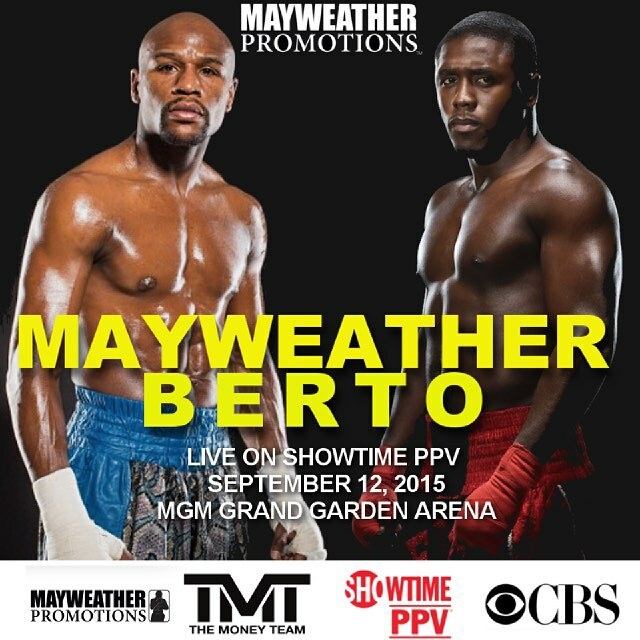 Floyd announced on Aug. 4 that he would face Andre Berto, 31, on Sept. 12, reports ESPN. The two will meet at the MGM Grand In Las Vegas and the fight will be televised on Showtime PPV. The fight will be for Floyd’s welterweight world titles, but for Floyd, there’s something more important on the line. With a victory, Floyd will tie the undefeated record of the boxing great, Rocky Marciano. Rocky retired from Boxing in 1956 with a 49-0 record. Floyd’s record before his Sept. fight it 48-0. With a win over Andre, Floyd will tie with the boxer some people think was the best heavyweight of all time. 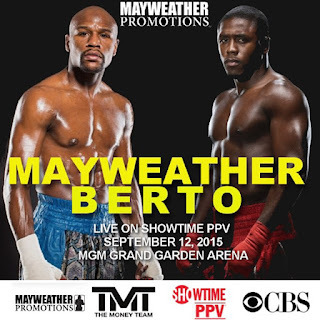 With a record of 30-3, with 23 knockouts, Andre Berto could stun the world with a major upset. But, Andre has gone 3-3 in his last six fights. Many view Andre as an easy opponent for Pretty Boy Floyd, instead of other welterweight contenders like Keith Thurman, Amir Khan or Shawn Porter. Some of Floyd’s critics don’t even believe that he’ll end on 49 victories, and that he may fight again to make it 50-0.